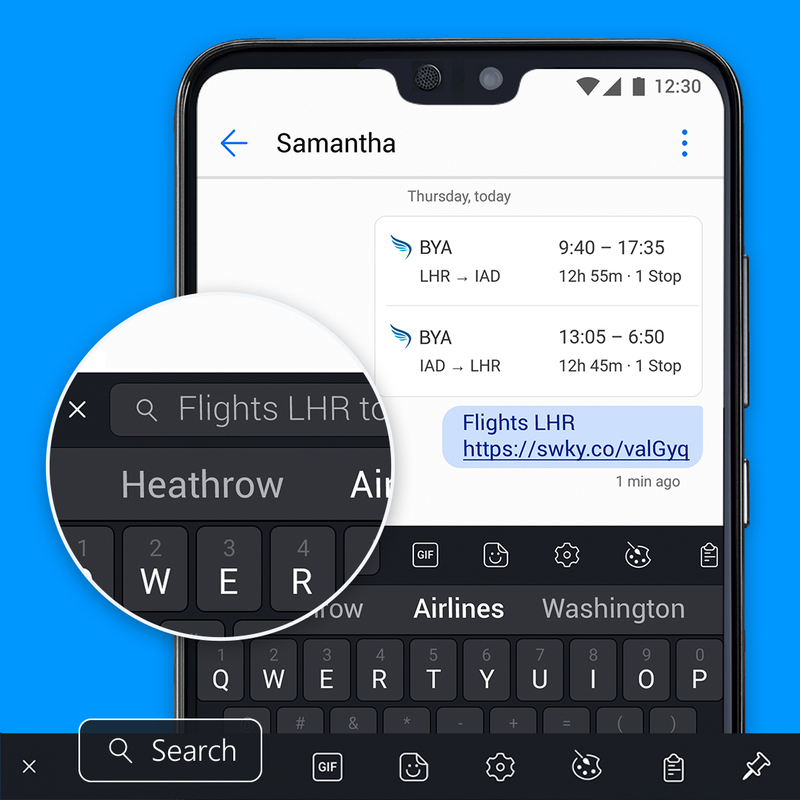 A new feature for SwiftKey users on Android has been put to enable instant sharing of anything from the web right on the keyboard with easy access to search results one can easily screenshot, crop and then share with friends. This feature enables sharing ranging from minute details like snippets of text to the entire webpage itself for users. Users can simply open the toolbar by tapping on the “+” on the top left and then select the search icon to find what is being looked for. Instant search results will be brought from Microsoft's Bing while typing of a URL will take the user directly to the site from which snippets or the entire page itself can be shared. 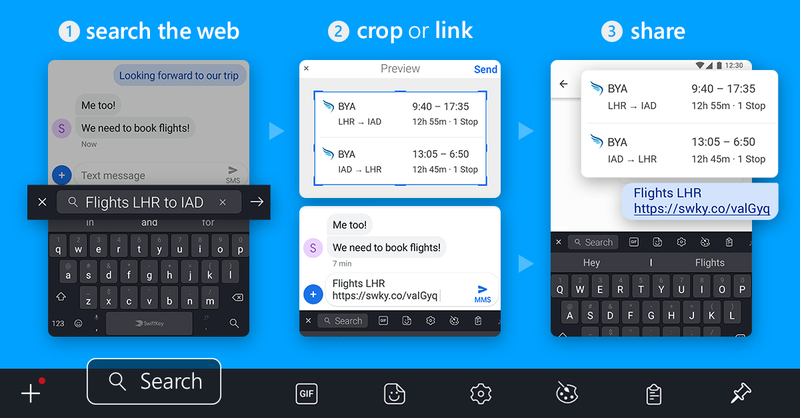 “We’re always looking for ways to make typing and messaging faster and smarter for our users. By having search right there in the keyboard, users can browse for information and share it with their contacts without leaving the conversation, whether that’s for quick fact-finding, checking the local weather or sharing news headlines and images in a message.” SwiftKey Senior Product Manager Colleen Hall said. This feature for easy searching and sharing is available for users in 11 countries consisting of the US, UK, Canada, France, Germany, Australia, Japan, Brazil, India, Italy and Spain. This new feature counts as the latest to be added to SwiftKey which counts other features including adding of Stickers to messages, sharing of Calendar or Location details and translation in over 60 languages.